We host our sites in the finest hosting facility in the Gulf South. Our state-of-the-art servers are located in the Bon Carré Business Center at a facility managed by Venyu. 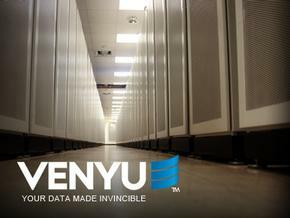 Venyu houses our rack of servers and helps ensure that they are accessible 24 hours a day, 7 days a week, 365 days a year. Nightly data backups, redundant power supplies, dual back-up diesel power generators and 24/7 monitoring ensure that your data is safe, yet your site and applications are accessible to the world. While we host most of our custom development which uses our CMS (Content Management System) ourselves, we also host Wordpress sites and other third-party applications with several trusted national hosts with the power, scope and support needed to keep our customized third-party extensions running smoothly. If you have any questions about our hosting infrastructure, please contact us today.